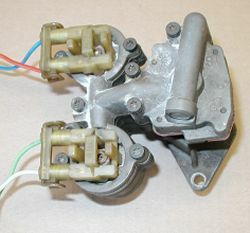 This throttle body has been removed from the engine but the injector removal will be the same if it is still installed. 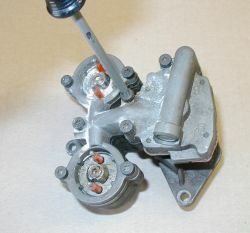 Just remove the air cleaner and this is what you will see. 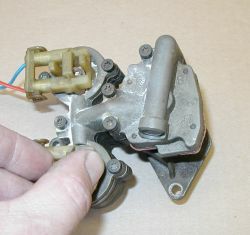 Squeeze the two tabs on the injector connectors to remove them. Remove the 8 Torx screws holding the top cover in place. I used a large screwdriver to gently pry the top cover loose. 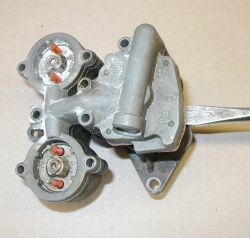 With the cover removed, grab the center of the injectors an rotate it to break it loose and pull to remove. 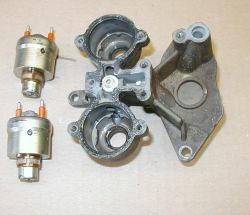 Here is the assembly with the injectors removed. 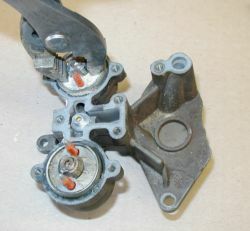 You will need a couple of new gaskets for the reassembly.